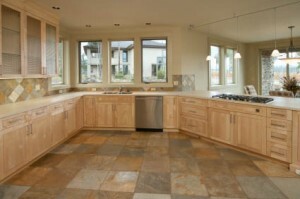 Welcome to Surface Experts, your tile and grout cleaning professionals. Here at Surface Experts you will find friendly, knowledgeable professionals who are ready to answer all of your tile and grout cleaning questions. We take pride in our work and recognize that it’s not just a reflection of who we are but also of who you are when we clean your floors. Investing in proper floor care will keep your floors looking bright, clean and fresh. At Surface Experts we make sure to bring you the highest level of tile and grout cleaning so that your home or office floors will impress!! Over time, dirt and stains build up on tile and grout surfaces and can be extremely difficult to clean. Surface Experts will save you the time and frustration. We know how to deal with dirt and grime that has been worked into the tile and grout. We have excellent, qualified staff who will show up on time and work quickly and efficiently. We use only the safest products and procedures to clean your floors and you will find our rates to be very competitive. We stand ready and able to provide you with the quality of floor care you deserve. Call Surface Experts today and let us show you what a professionally cleaned floor looks like! !